Ljubljana Slovenia can be difficult to reach from Dublin since there are no direct flights. We took the opportunity of a conference in Dusseldorf to book 3 days in Ljubljana since there are direct flights from Dusseldorf to Ljubljana (bleisure travel for the win!). 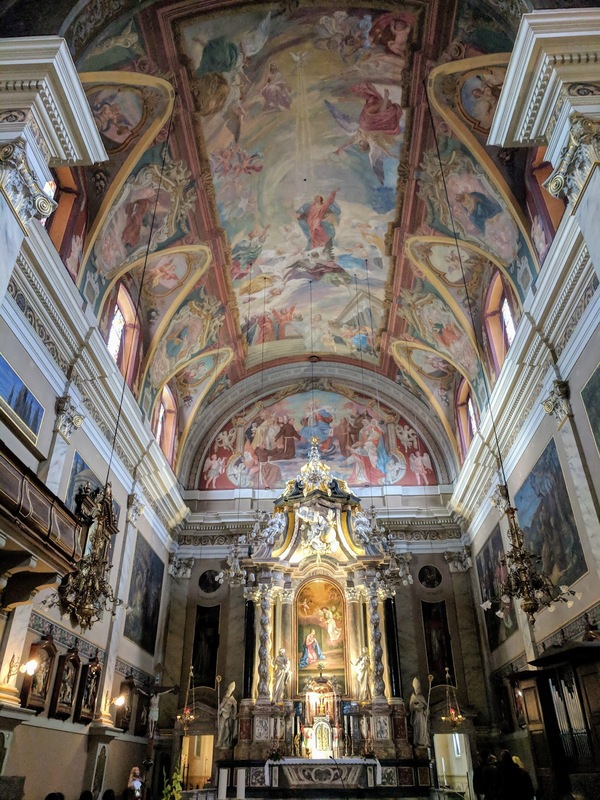 Is Ljubljana worth visiting? Read on to find out what Ljubljana is like and what to do in the Slovenian capital on a long weekend itinerary. We stayed at Hotel Lev on the outskirts of Ljubljana. Ljubljana is a very compact city and it's easy to walk almost everywhere you'd want to go. Hotel Lev is a large hotel with an extensive breakfast offering and a fun bar where you can try Slovenian wines if you don't want to go out in the evening. We arrived in Slovenia quite late and decided to avail of the hotel bar on our first night rather than venture out. After our late night arrival, we awoke early excited to explore. Take some time to just wander around and appreciate Ljubljana's Art Nouveau architecture. Look up at expressive faces peering down at you from the eaves. 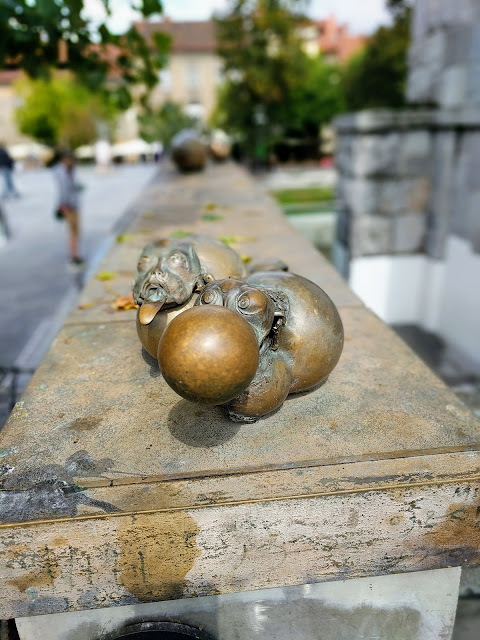 Walk along the Ljubljanica River and see if you can spot some interesting metal sculptures along the way before you arrive at Ljubljana's Central Market. We love European food markets and food halls. Make your way to Ljubljana Central Market which features a covered indoor area with permanent stalls selling all sorts of local foods and sweets. Produce vendors take over the nearby parking lot during the day to sell fresh fruits and vegetables. We picked out some Bosnian plums to snack on later in the day. 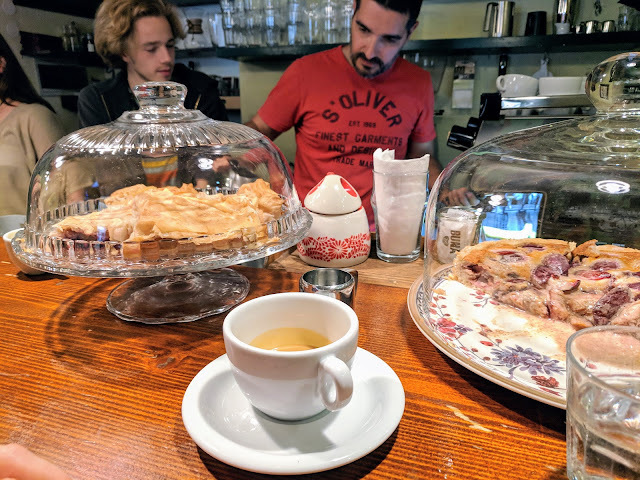 Stop for an early afternoon coffee at Café Čokl, a tiny place popular with the locals. If you prefer, you can take a hit of something stronger with your coffee (a nip of whiskey perhaps?) Sample fresh baked cakes and pies at the counter and settle in for some great people watching. 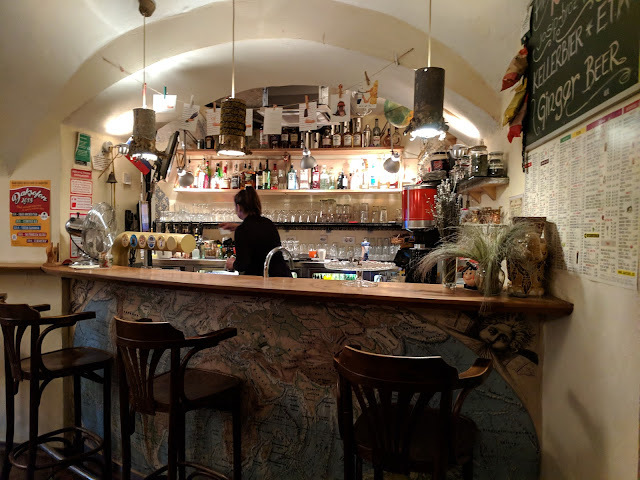 If it rains when you visit Ljubljana, this is the perfect excuse to duck into Daktari for a cozy beer in the afternoon. The bar is set-up a little like a coffee shop with kitschy furnishings and board games to play. Sip a local Slovenian beer and wait for the weather to clear. 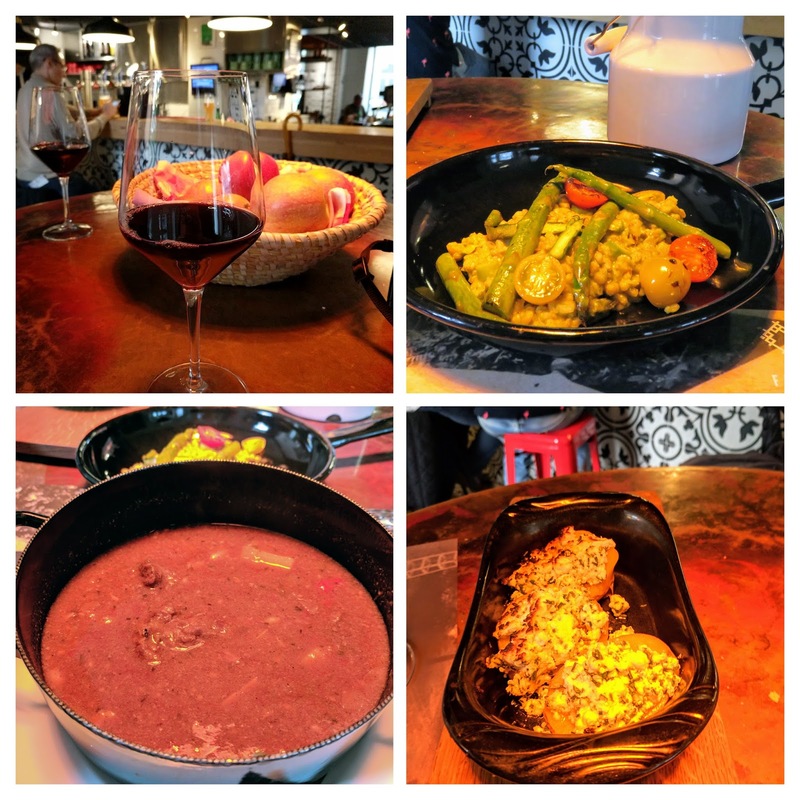 Stop at Slovenska Hiša - Figovec for a hearty lunch featuring dishes like Slovenian goulash, stuffed peppers, and barley with asparagus washed down with a glass of Slovenian red wine of course. The menu at Slovenska Hiša - Figovec is extensive and features dishes from all across Slovenia. Walk off lunch by taking a stroll around Congress Square, a wide-open space and park surrounded by charming architecture. Look up and admire Ljubljana Castle on the hill beyond. Take a short detour from Congress Square to the ruins of the Roman Wall in Ljubljana. Two thousand years ago, the Roman city of Emona stood where present-day Ljubljana is situated. Life in Ljubljana seems to revolve around the river. Walk the Ljubljanica River between St. James Bridge (Šentjakobski Most) and Cobbler's Bridge (Šuštarski Most). You'll find plenty of cool sculpture along this stretch of the river as well as some great places to shop, drink, and eat. The Ivan Hribar statue is especially worth seeking out. Hribar was an important figure in Slovenian politics in the early 20th century. We really enjoyed photographing the architecture along the river. After snacking throughout the day and a sizable lunch, we weren't yet hungry for dinner. The great thing about Ljubljana being so compact is that we could easily retrace our steps later and revisit this section of town. A lot of the nightlife in Ljubljana can be found across the Ljubljanica River in the shadow of Ljubljana Cathedral. We stopped at another branch of Slovenska Hiša to drink a bottle of Slovenian cider outside along the river. We took the opportunity to veer away from the river to pedestrianized Mestni trg. Discover both touristy and non-touristy shops along this stretch of Ljubljana. 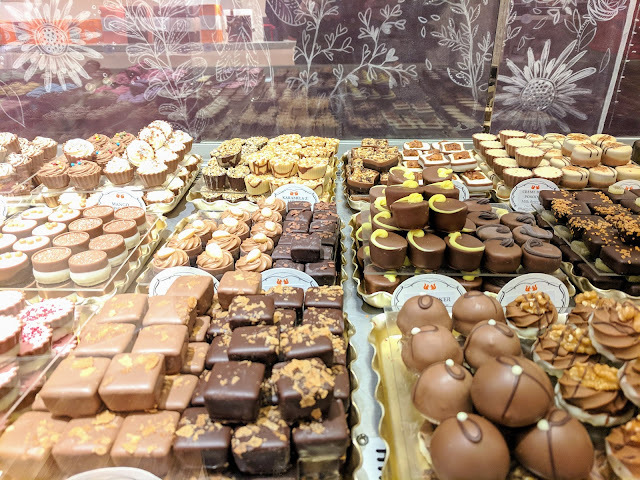 We chanced upon La Chocolate Chocolate and Tea Shop and bought a select of unique chocolates to enjoy later. By now the sun had set on the first day of our 3 day itinerary in Ljubljana. 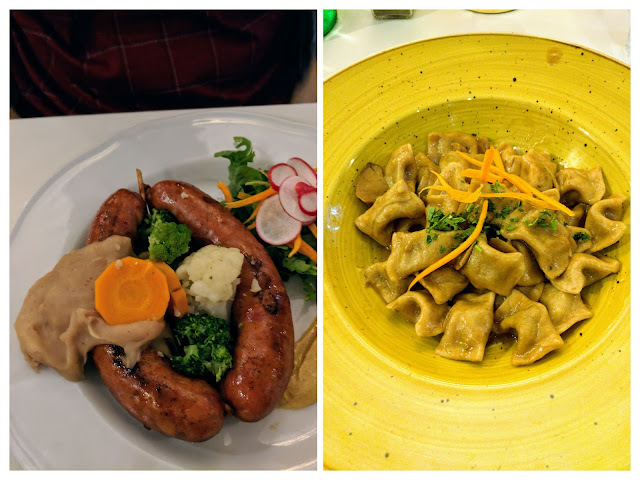 We stopped for dinner at Gostilna Pri Kolovratu for a hearty meal that included Slovenian sausage and delightful little dumplings. During busy times of year, it's a good idea to make a booking for dinner. However, we got lucky in winging it when we visited Ljubljana in September and were able to secure a table at Gostilna Pri Kolovratu without a reservation. We ended the day in Ljubljana at place that most definitely did not seem Slovenian at first glance: Sir William's Pub. Sir William's Pub looks like an establishment you might find in the UK or Ireland but the beer taps are all Slovenian craft beer. Treat yourself to a pint or two before calling it a night. I tried the Space Goat Brett IPA from Barut Brewing and Blending. The beer wasn't billed as a sour so I was pleasantly surprised and delighted when I tasted a tart kick. Start Day 2 of your 3 day Ljubljana itinerary by walking from Hotel Lev to the edge of Tivoli Park. Tivoli Park is a massive green space. We had limited time in Ljubljana and it rained quite a bit when we visited so we only scratched the surface of the park. Still, we enjoyed the manicured paths and even a small fountain or two before making our way across Bleiweisova cesta via a handy underpass to Saints Cyril and Methodius Orthodox Church. 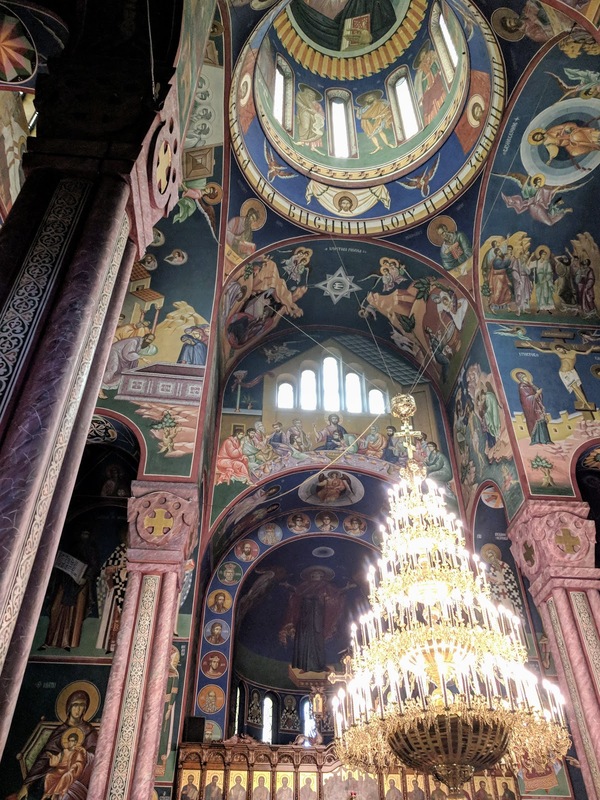 Take a moment to peek inside Saints Cyril and Methodius Orthodox Church. The church resembles a Medieval structure but was actually built in the early 20th century. Religious art adorns the walls from floor to ceiling and the five domes are impressive when lit up by the sun. Across the street from Saints Cyril and Methodius Orthodox Church, stop into Ljubljana's Museum of Modern Art. You can access the museum cafe by heading downstairs from the entrance. We were impressed by the quality of the coffee and this cafe also looked like a great spot to enjoy lunch or a glass of wine in the evening. After you are properly caffeinated, step back in time with a walk through Ljubljana's Republic Square. Republic Square is the largest square in Slovenia and has the distinction of being the place where independence was declared in 1991. Across the street, admire the communist-era imagery and workmanship around the doors of the National Assembly Building of Slovenia. Ljubljana's Nebotičnik Skyscraper is free to visit. Just take the elevator to the top and then walk up a spiral staircase to the cafe and observation deck. Drink in views of Ljubljana's charming old town and Ljubljana Castle beyond. You can also catch a glimpse of 20th century architecture which is not as traditionally beautiful but I found the strong angles and sturdy metal structures to still be photogenic somehow. You'll get a view of Nebotičnik Skyscraper from Ljubljana Castle hill later in the day. One of the most iconic sites in Ljubljana is the so-called Dragon Bridge. According to local legend, when a virgin crosses the bridge, the dragons will wag their tails. Get fierce and strike a pose with Ljubljana's fire-breathers. Ljubljana Castle is accessible on foot and by funicular. We booked the funicular plus "Time Machine" tour package for 12.00 EUR per person at the time of writing. This included both transportation up the hill to the castle and a one hour tour featuring actors in period costumes. The acting was a little hammy but that just added to the charm. 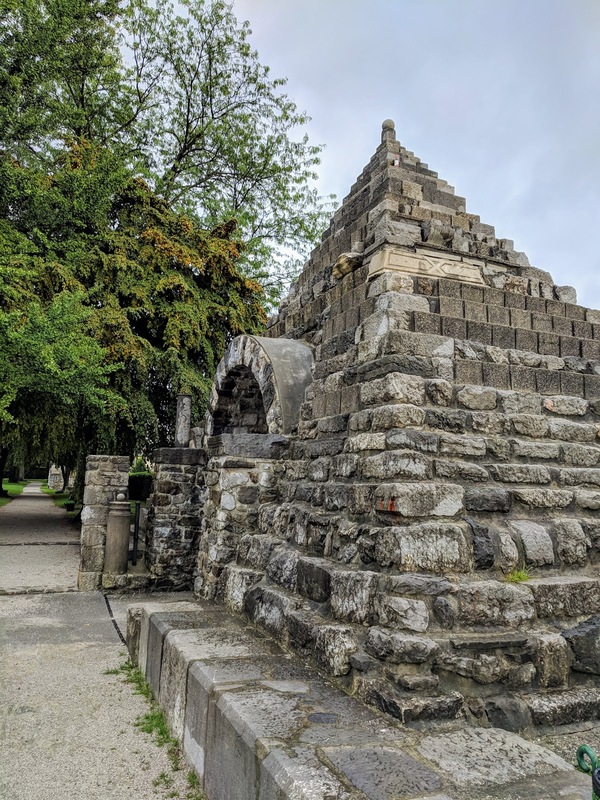 The "Time Machine" tour takes you on a journey from Roman times through to the 20th century and is a fun way to learn about the history of Ljubljana and Ljubljana Castle. After the "Time Machine" tour, climb the spiral staircase to the top of the Ljubljana Castle tower for sweeping views of the castle grounds and the city beyond before making your way on foot down the hillside back to Ljubljana Old Town. I suspect you'll be hungry after all that walking (we certainly were!). Make your way to Burek Olimpija for an afternoon Slovene street food snack. Burek is a bit like a layered pizza. 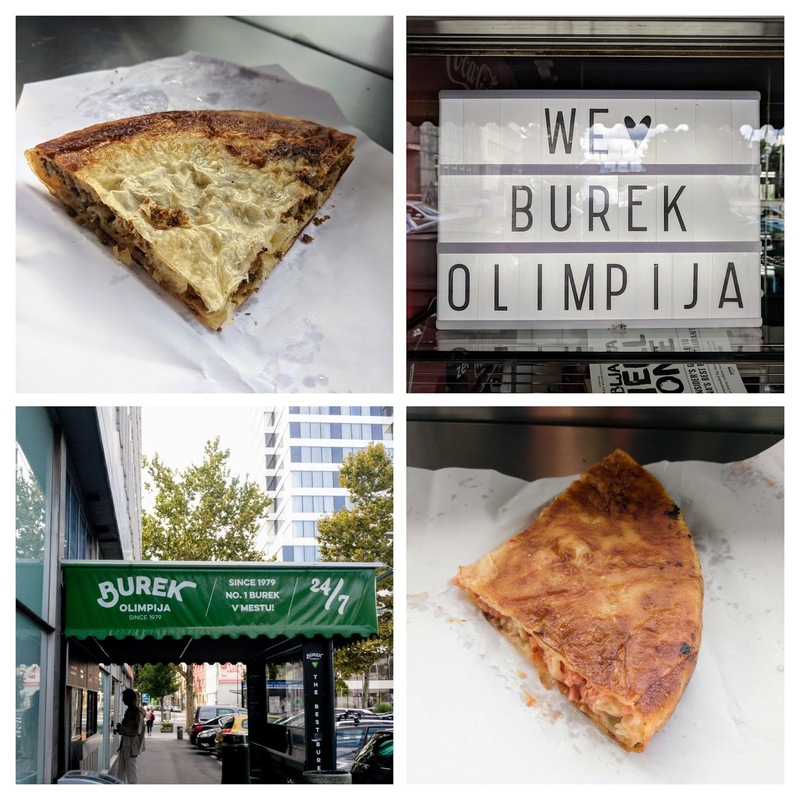 We tried the traditional burek which featured spinach and ground beef. We also tried a version that was like a pizza with tomato and cheese. So good! And each humungous slice only cost 2 EUR. Spend the early evening of your second day in Ljubljana tasting Slovenian wines. We booked a wine tasting experience with Wine Tasting Ljubljana. 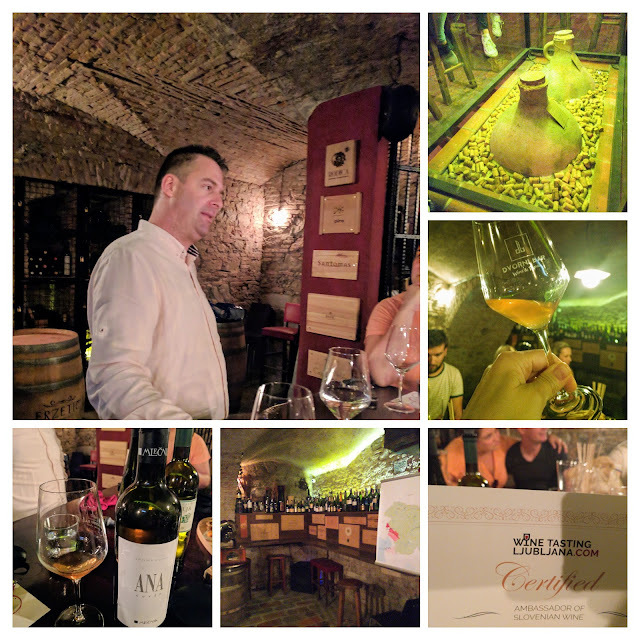 We were led down into a historic 300 year old wine cellar at Dvorni bar and seated at a table laid out with platters of bread and light snacks. We had the opportunity to try orange wine while blindfolded. Orange wine is somewhat unique to this part of the world and is prepared by taking white grapes and leaving the skins and seeds in during the fermentation process. Winemaking with skins is usually reserved for red wines. We also got to try Cviček a wine made by mixing red and white grape species. We were definitely hungry after our Slovenian wine tasting experience and made our way to Gujžina Prekmurska Gostilna for an early dinner. We'd stopped here the previous evening but found that they were entirely full. Either make a reservation or come early to avoid disappointment. 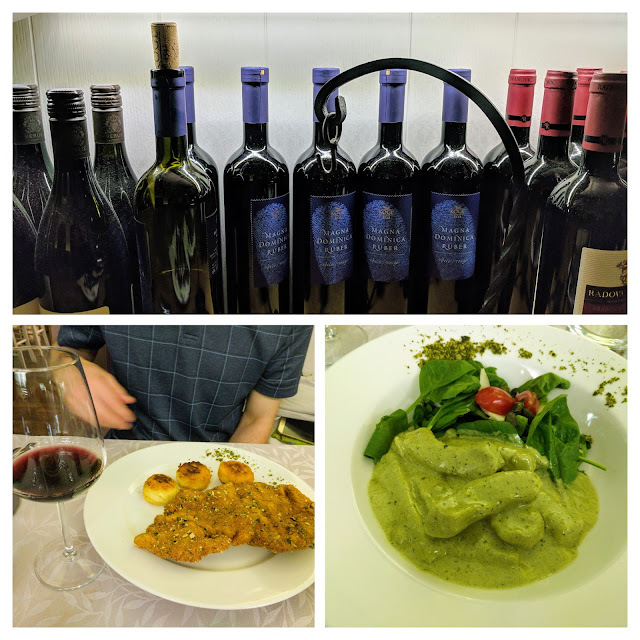 We tried hearty Slovenian dumplings and a breaded chicken dish served with potato dumplings. Gujžina Prekmurska Gostilna also serves a wide range of Slovenian wines by the glass. We definitely weren't up for a full bottle after tasting so many Slovenian wines before dinner. On your final day in Ljubljana, head to the bus station (co-located with the Ljubljana train station) for a day trip to Lake Bled. Go early because we have heard reports that in the high season, there are not enough buses to meet demand, particularly for the return trip when you are not guaranteed a seat. We booked the 9 am departure in advance via Arriva and picked up the tickets on the day at the bus station. Fortunately, we were visiting during the shoulder season in September and availability was no problem for the return. It takes about an hour to get from Ljubljana to Lake Bled by bus. The traditional boats to Bled Island don't depart before about 11 am in September so we had a little time to kill. We took the opportunity to try Slovenian cream cake (a Lake Bled specialty) at Park Restaurant and Cafe. 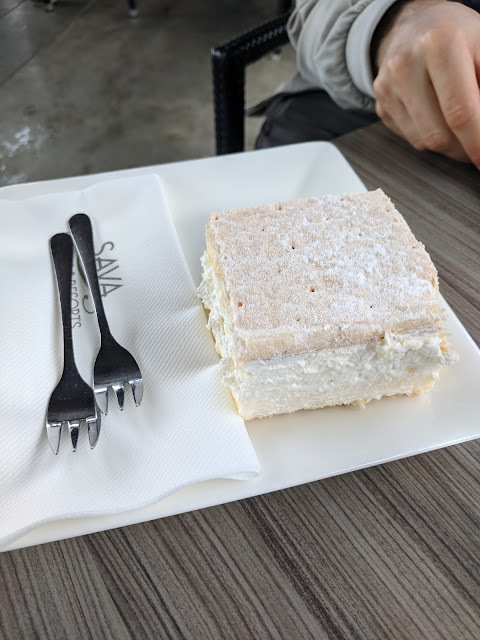 The cream cake was tasty and extremely sweet but a little difficult to eat. We found it hard to cut through the crispy outer later with our fork. The most important thing to do in Lake Bled is take a traditional Pletna boat ride to Bled Island. Arrange your passage with a Pletna oarsman at a cost of 14 EUR per person at the time of writing. It takes about 30 minutes for the Pletna oarsman to paddle out to Bled Island. The crossing is one of the more serene and picturesque experiences I've had on our travels. I was mesmerized by the reflections of the Bled Island church in the water of the lake. You'll have about an hour to have a look around Bled Island. Pay the entrance fee and go inside to ring the bell for a chance at some good luck. If you can make the church bell ring three times on a single pull of the rope, legend has it that good luck is yours. Admire the views from the high point of Lake Bled near the church and then take a walk around the island (it only takes about 15 minutes). The water of Lake Bled is so clear that you might even see some giant fish lurking near the shore like we did. Upon our return from Bled Island, we decided to grab a quick bite for lunch at Pizzeria Gallus before setting out on foot to circumnavigate the lake. It takes a couple hours (including plenty of photo-ops) to walk the full way around Lake Bled. We got some amazing views including more magical reflections of Bled Church. We also saw lots of fantastic birds on this serene nature walk. Vila Prešeren is a handy spot to stop if you finish your walk before your bus is due. We sipped a glass of wine on the patio before catching a return bus at around 3 pm back to Ljubljana. 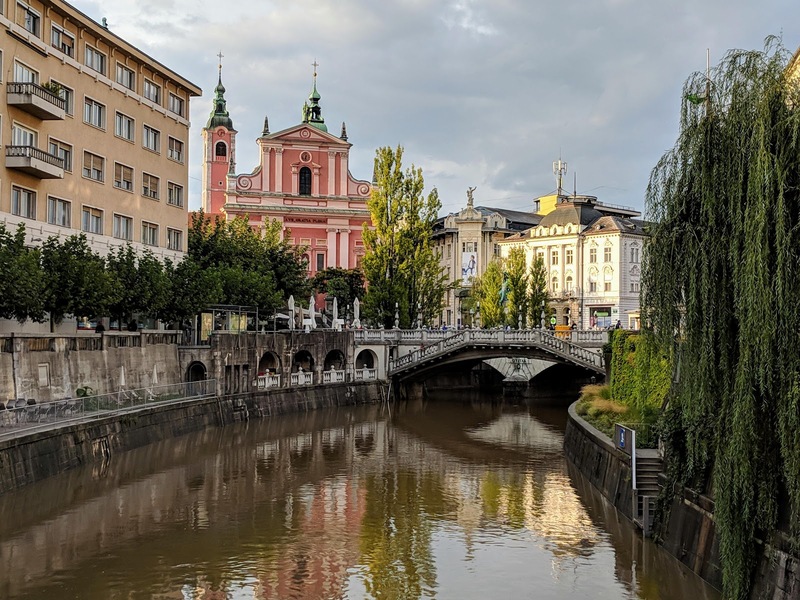 In the evening on your final day in Ljubljana make sure to catch the things you missed on Day 1 of your 3 day Ljubljana itinerary. We made sure to step inside the impressive Ljubljana Cathedral. Return to the Ljubljanica River Between Šentjakobski Most and Šuštarski Most that you explored on Day 1. Go hungry this time. 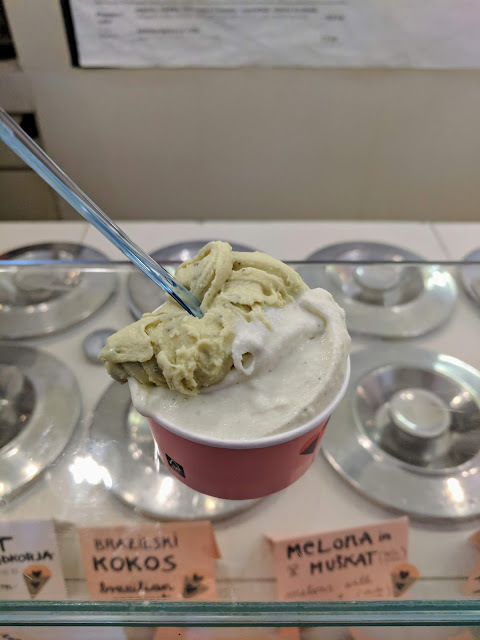 Stop at Gelateria Romantika for unique and refreshing ice cream flavors including lemon and sage and cucumber with lime. Wine Bar Suklje is a fantastic finale to 3 days in Ljubljana. 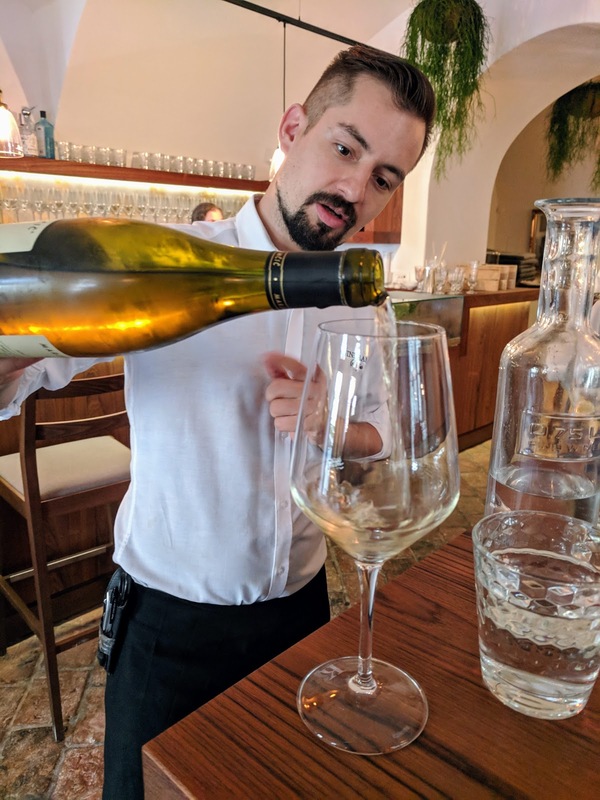 The helpful waitstaff can make a custom wine tasting experience for you. 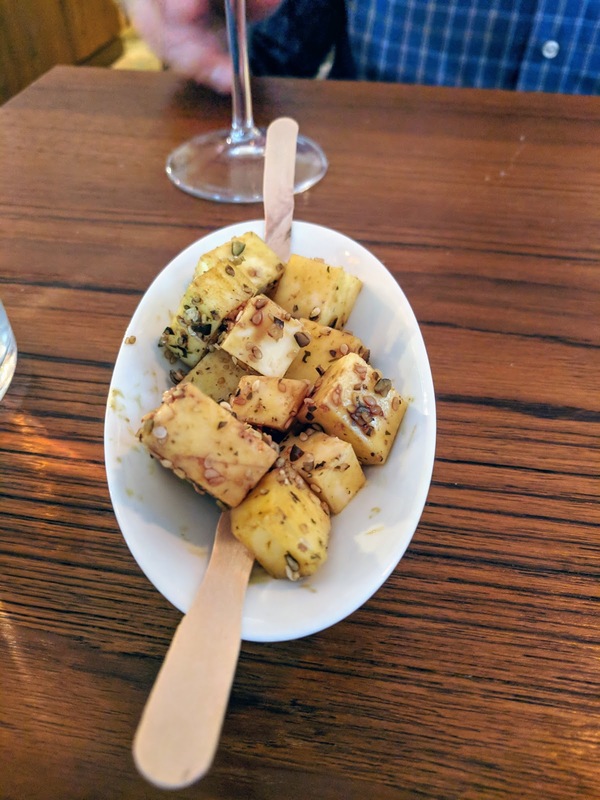 Enjoy fresh herbed cheese to go with the wine tasting. We settled in for the evening sampling about four different wines. 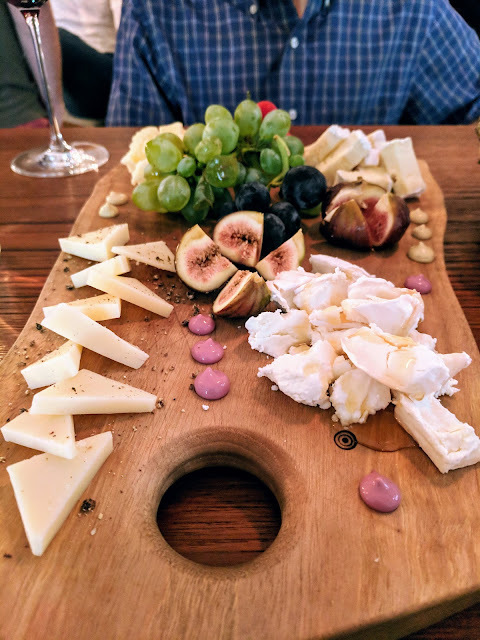 We also ordered a proper cheese plate for dinner since we knew we wouldn't be hungry for a full-on Slovenian meal. Our wine and cheese experience at Wine Bar Suklje was a memorable last hurrah on our Ljubljana adventure. Yes. 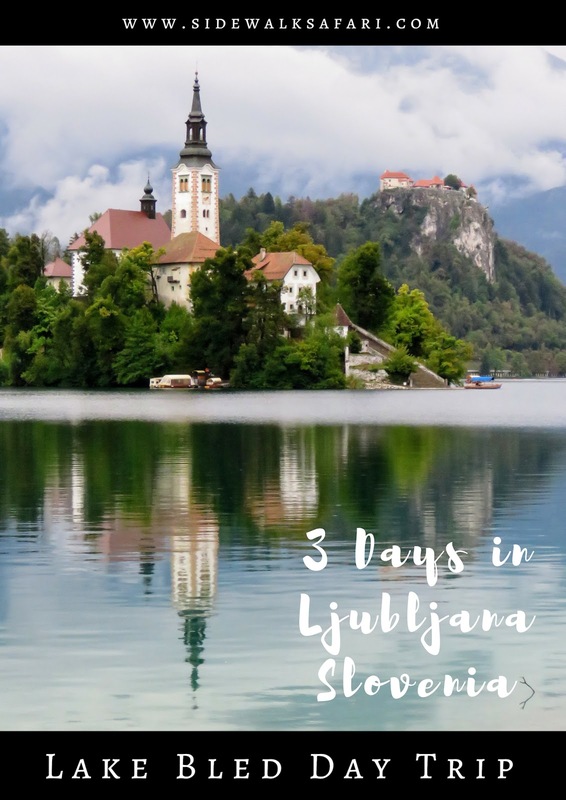 I hope you can tell from the fun 3 day itinerary that we experienced that Ljubljana is great fun. Ljubljana is a fantastic small city that is easy to get around with plenty of interesting history, architecture, and fun food and drink. It took us a while to make it to Ljubljana (we lived in Ireland for 8 years before we finally found time for this trip) and we are kicking ourselves for waiting so long. What is Ljubljana like? 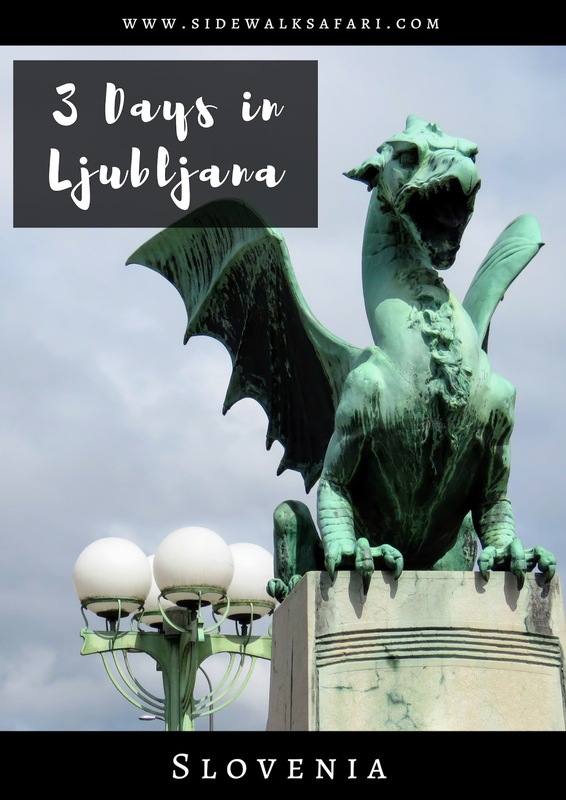 Spend 3 days in Ljubljana Slovenia and find out why Ljubljana is worth visiting. Find out what to do in Ljubljana. 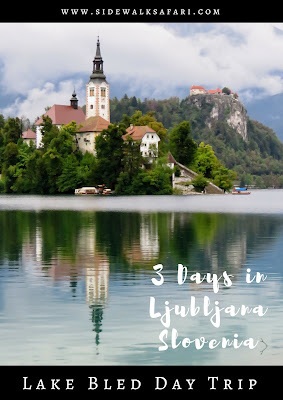 Go on a day trip to Lake Bled Slovenia.